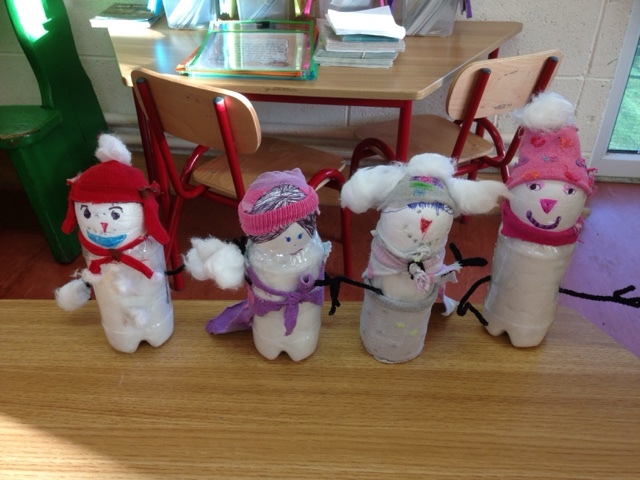 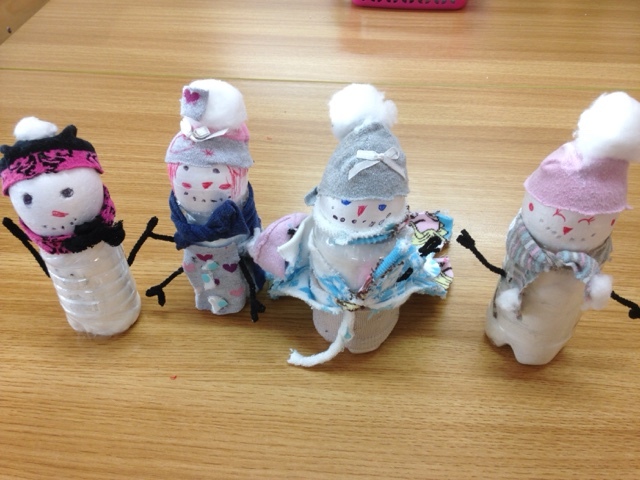 Last week we created Bottle Belly Snowmen using plastic bottles, cotton buds, pipe cleaners and socks! 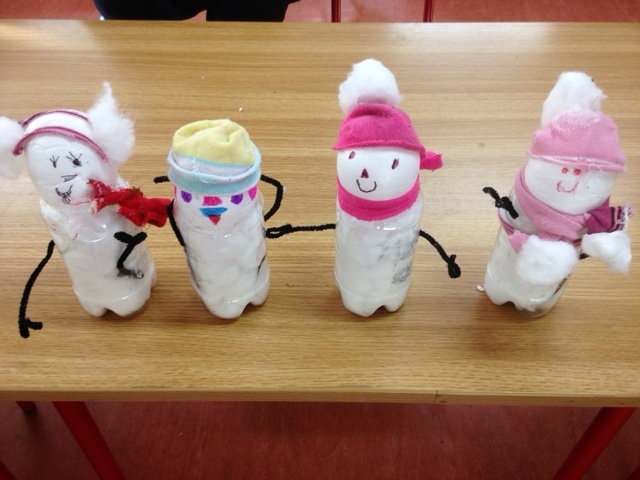 Thanks to parents for sending in socks and bottles. 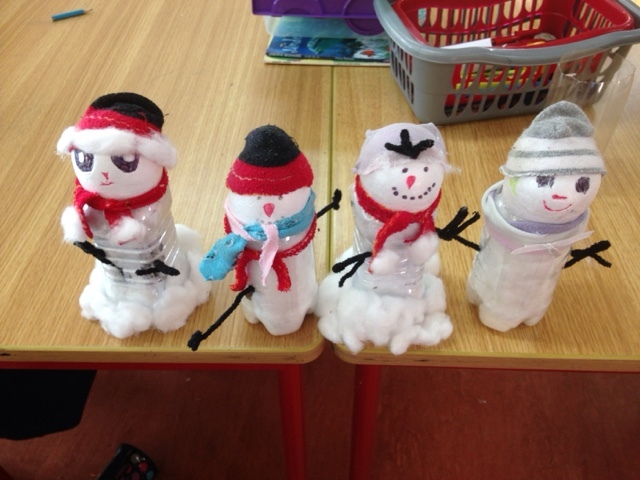 The children brought some very original ideas to their snowmen and they look fantastic!